The First Nations of Quebec and Labrador Sustainable Development Institute (FNQLSDI) will organize the second Regional Workshop on First Nations Comprehensive Community Planning (CCP). The main objective is to share stories of change happening through community-led planning. 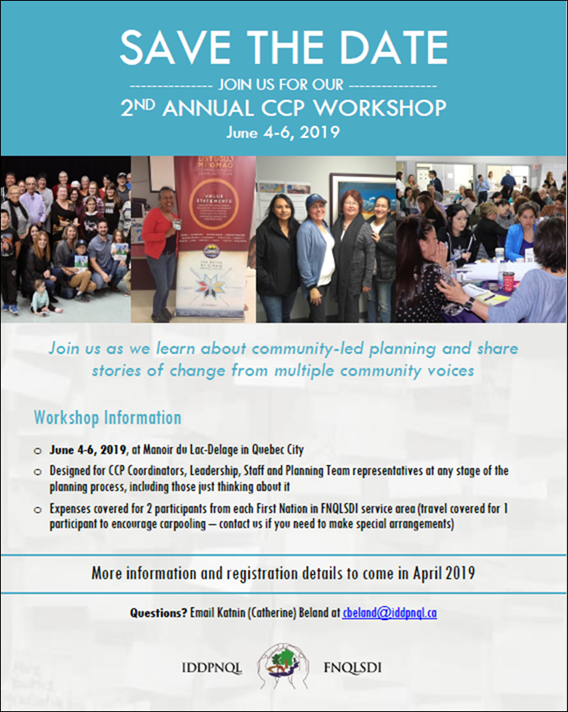 This workshopwill showcase the amazing community planning work done by First Nations in Quebec and in other areas of Turtle Island, through conferences, testimonies, interactive workshops and kiosks. It is designed for CCP Coordinators, leadership, employees, as well as community members who are or want to be involved in a planning process.